February has come and gone and I’m still here in Brazil having an amazing time! But now it’s time to see the Best of February in my humble opinion :) I’ve been away on holiday since the beginning of the month, so the serious lack of cosmetics reflects the amount of time I’m spending on my makeup routine everyday. 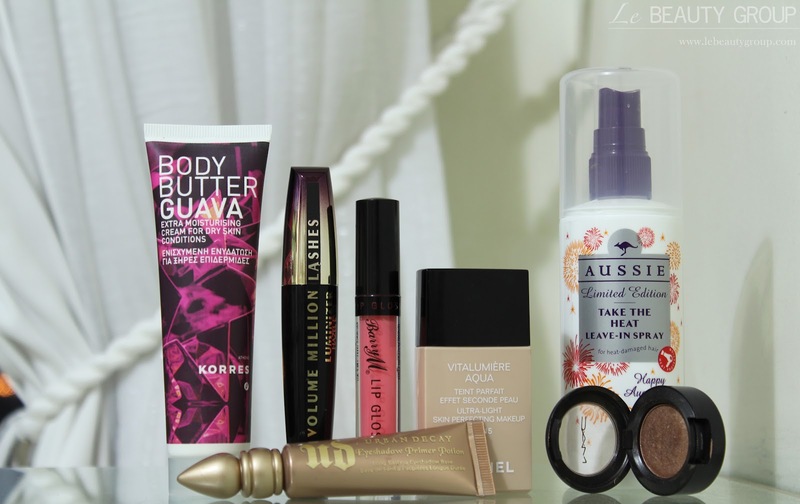 So let’s start with the few products I’ve been using all the time! Korres Body Butter Guava Body Butter (Amazon) – This moisturiser smells delicious and it has been a must-have for me on a daily basis after I’ve been to the beach. That sounds like a hard life, doesn’t it? :) If you want to know what I think about it more in depth, I’ve written a review here. Loreal Volume Million Lashes Luminizer, Hazel (Boots) – When I bought this, I wasn’t too sure whether I liked it or not because it made my eyelashes look clumpier than normal, but it gave them a crazy amount of volume! Now that I’ve had a while to play around with it, I absolutely love it. Yes, it still clumps up, but with the help of a clean mascara wand I can easily separate my lashes and they look amazing. Barry M Lip Gloss, #12 (Boots) – The creamiest and most flattering lip gloss I’ve ever owned. It is literally the definition of the ‘my lips but better’ concept and it tastes and smells amazing. I have Tanya Burr (pixi2woo) to thank for recommending this on a recent video! Chanel Vitalumiere Aqua Foundation, B40 (Debenhams) – I find myself relying on this foundation whenever I want a decent coverage with a dewy finish, without looking as though I have anything on. It is also a perfect match on my skin even when I’m a bit more tanned, it seems to blend in really well. Urban Decay Eyeshadow Primer Potion, Sin (Debenhams) – I ran out of my mini Primer Potion that came with the original Naked Palette so I thought I’d invest in the big tube to last a bit longer. I’ve been using it on its own during the day and as a primer (underneath eyeshadows) in the evening. It’s definitely worth the hefty price tag and I can’t live without it anymore! MAC Veluxe Pearl Eyeshadow Woodwinked (Debenhams) – I can’t recommend this enough and it’s been my go-to eyeshadow pretty much whenever I’m wearing any makeup. I’ve recently written a full review with swatches and pictures (here), so go check that out for more details. Aussie Take The Heat Leave-In Spray (Amazon) – Being on holiday means I wash my hair almost everyday as I go to the beach a lot. Consequently, I blow dry it almost everyday and I’ve been loving the Aussie heat protector spray. It doesn’t weigh down my hair and like any other Aussie product, it smells lovely. I’m really glad I took a chance on this product because it has saved my hair during this holiday! ASOS Scallop Edge Satchel Coral (ASOS) – I got this bag as a birthday present from my boyfriend in the beginning of the month. Best boyfriend ever! 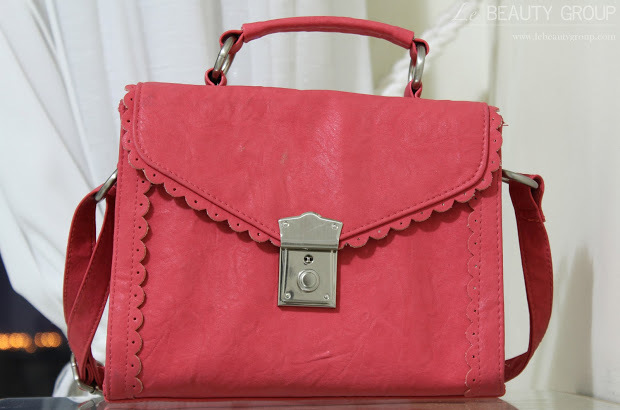 :) It’s a little satchel bag that I’ve been wearing mostly cross-body for a more casual look. The coral colour is also really appropriate for the summery weather here in Brazil. 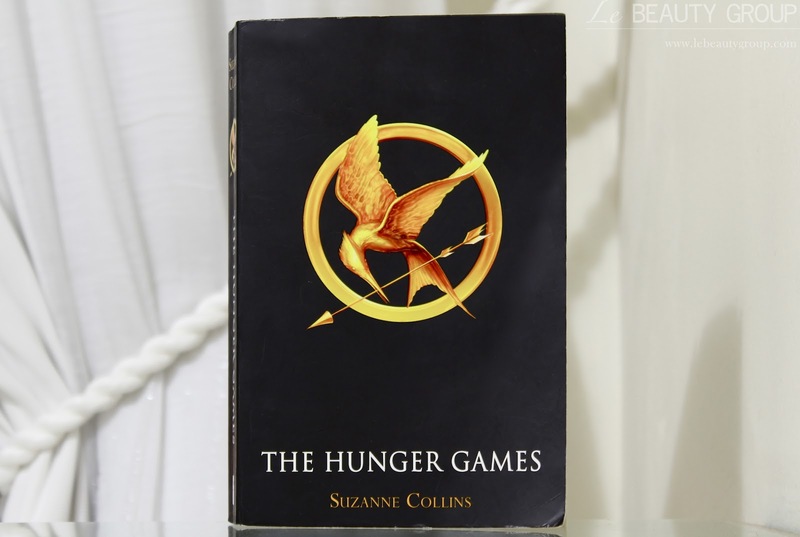 The Hunger Games, Suzanne Collins (Amazon) – Now this is not a mere favourite, it’s an OBSESSION! Suzanne Collins wrote a series of three books, and the first of them is called ‘The Hunger Games’, which is about to come out as a movie in the cinema at the end of March. Since I started reading this book, it has taken over my life; I’ve spent every free moment of my days reading it, up until yesterday, when I finished it. Boo! :( But I’m already reading the second book of the series, which is called ‘Catching Fire’, and I’m sure I’ll love it just as much. Go and get yourself a copy of this amazing book; I’m sure you won’t regret it! Christmas Challenge: 30 Lipsticks in 30 Days GIVEAWAY! Just found your blog today! Love it!<3 I have heard so much about that Chanel foundation, when I saw on your list now it's finally on my wish list! Lol I LOVED 'The Hunger Games'. I can't wait until the movie is out. The Hunger games is just AMAZING, i read all 3 like in 2 months (my first books in english actually) and i can’t wait to watch the movies. 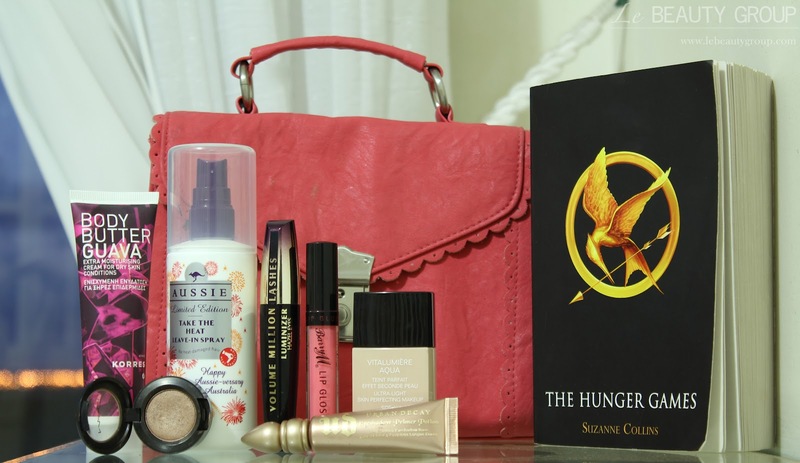 The Hunger Games series is so addictive. Just hope the movie is not too much of a let down! Born and raised in Colombia, currently living in the UK :). I heard that Brazil was boiling hot these past months! lucky you to get away from the cold for a few weeks!! nice post, well written. Great Stuff…!!! It’s awesome to pay a visit this site and reading the views of all mates regarding this piece of writing, while I am also keen of getting experience. I seldom write responses, but I read some of the responses on this page “February Favourites”. I actually do have 2 questions for you if it’s allright. Is it only me or do some of the responses look like they are written by brain dead individuals? :-P And, if you are posting on other social sites, I would like to follow anything new you have to post. Would you make a list of the complete urls of all your shared pages like your linkedin profile, Facebook page or twitter feed?